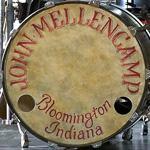 I don't recall a heavy-drum version of "Jack and Diane." Can you be more specific as to what year/tour it was performed that way or exactly where you heard it? The only shows he performed in '04 were the Vote for Change shows, and Worcester wasn't a part of that tour. I'll be glad to help, but I need to know what tour you are remembering. Ah, the Cuttin' Heads tour version. I have that. I'll upload it tonight for you. Here you go, man. Enjoy. This request comes in from certain radio markets that play the 2001 Cuttin Heads version of Jack & Diane that had what I call a Bo Diddley drum pattern to it. John did a satellite radio interview tour from NYC where they played that version for numerous radio stations. The sound on that soundstage was really exceptional and many radio stations have continued to play that version on the radio. Hey, sorry to bump a kinda old thread, but I've been looking for this song as well, and the hyperlink is no longer active... Can anyone point me to where I can purchase or download it? I'll re-upload it tonight for you. No worries. Was this re uploaded? I clicked on the original link from April 13th and it comes up as not available. I like this version of the song as well - heard it for the 1st time at the Today Show taping on the Friday right before the 9\11 attacks in '01. It was really LOUD in the plaza and it sounded great live. It won't be at that same link. I gotta dig it out (I've got a ton of CDs to wade through). I promise I will post it this weekend. Check this thread for the new link tomorrow or Saturday. Sorry for the delay.